The Castle of Mey was the property of Queen Elizabeth The Queen Mother from 1952 until 1996, when Her Majesty generously gifted it with an endowment to the Trust. The castle is situated on the north coast of Caithness, in the parish of Canisbay, about 15 miles east of Thurso and six miles west of John O'Groats and was built between 1566 and 1572 by George, the 4th Earl of Caithness. 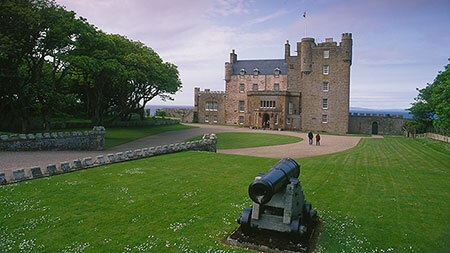 It stands on rising ground about 400 yards from the seashore, overlooking the Pentland Firth and the Orkney Islands. It is thought that a fortified granary occupied the site originally. In 1952, HM Queen Elizabeth The Queen Mother saw what was then known as Barrogill Castle while staying with Commander and Lady Doris Vyner at the House of the Northern Gate on Dunnet Head, a short distance to the west. Despite its poor condition, Her Majesty purchased the castle that year and set about renovating and restoring both the castle and its gardens and parklands, which extended to about 30 acres. 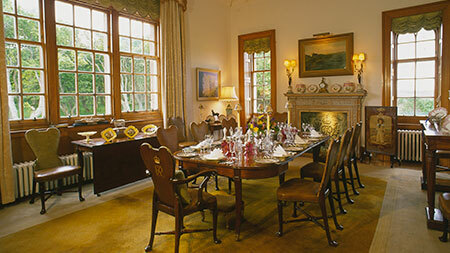 She also restored the castle's original name, changing Barrogill Castle back to The Castle of Mey.